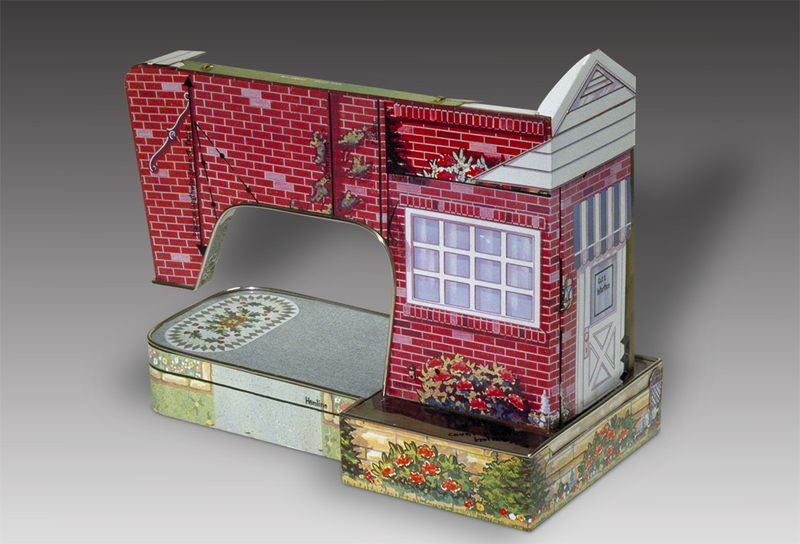 Fabrication is a sculpture in the shape and form of a sewing machine covered with vintage steel doll houses and chrome-plated trim. There are painted sewing pattern instructions on front. This was the first pieces I made from recycled steel, and a seminal object.